Do you have a fear of spiders and want to be rid of it? Tap along to this video and see what happens. Please take care ofyour own wellbeing and tap along while you watch this. If you want to work specifically on your own spider memory with Jenny, please contact her here for a private skype or in person session. Introduction to EFT at the Academy of Hypnotic Science – March 19th. Jenny is speaking about EFT and demonstrating it in an Introduction Evening from 7pm – 9pm on Tuesday 19th March at the Academy of Hypnotic Science in Riddell Pde, Elsternwick. This “Introduction to EFT” is open to anyone, not just Clinical Hypnotherapists. For all the details of what you will learn and to register, see here. To watch a 7 min demonstration of basic Clinical EFT that changed this womans life and her feelings of guilt, watch here….. 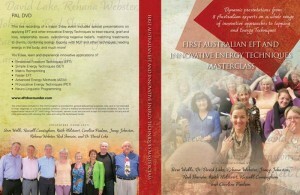 I still have a few of the 8 set of DVD’s of the First Australian EFT and Innovative Energy Techniques Masterclass, held in Melbourne in Oct 2012. 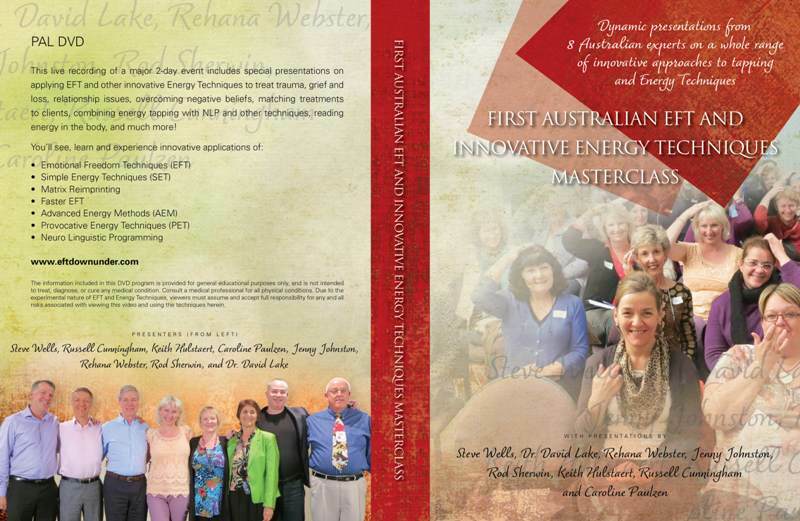 Each DVD is 75 mins and each of the 8 expert practitioner’s presentations are featured – Caroline Paulzen, Jenny Johnston, Russell Cunningham, Steve Wells, Dr David Lake, Rehana Webster, Rod Sherwin and Keith Hulstaert. If you didn’t get there then these DVD’s are essential and not to be missed! Contact Jenny for cost (including postage).